Keeping school lunches loaded with variety can be a challenge so I am always looking for new flavours and combinations to keep things interesting for my kids. 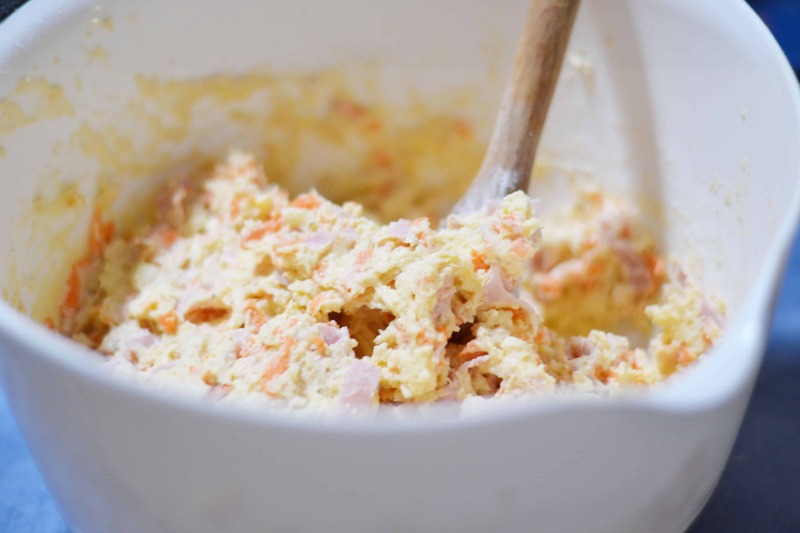 One of these recent experiments was these delicious savoury ham, carrot and cheese muffins which are super easy to make, have hidden veggies and you can freeze for later. Pretty much the trifecta… oh and they taste great! 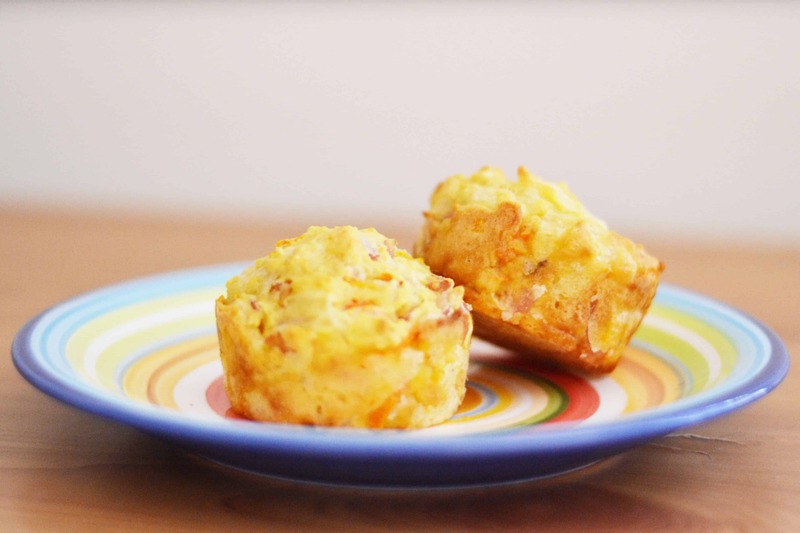 My kids love carrot and often eat raw carrot as a snack with a bit of crunch, so I knew this was a flavour they would enjoy baked into their muffins as a relatively healthy savoury muffins recipe. In fact, I have to freeze them quick or I may accidentally on purpose eat half the batch before they even make it into my kids school lunch boxes. Now it’s important to note that these are savoury carrot muffins. Not those decadent sweet carrot cake with cream cheese type that are also amazing. These ones are more of a sandwich alternative for school lunches or a perfect after school snack. They would even make great breakfast muffins for kids on the go! One of the best things about this muffin recipe is the fact that most of these ingredients are likely already in your fridge or pantry, so it’s on you can throw together and bake without a lot of preparation. This also makes it great for those last minute back to school lunch ideas if you are feeling a bit disorganised. These savoury carrot muffins are quick to make. Under 10 minutes prep time and you’re done! It makes it so easy when you can bake in bulk and freeze, as it means you have load of homemade baked goods ready to go for school lunches, with different flavours, textures and goodness! Preheat your oven to 180-200 degrees celsius. Add wet and dry ingredients in the one bowl and mix until just combined. Avoid over mixing your ingredients. Grease you muffin tray if needed or use cupcake liners and spread your mixture evenly between each. Give them time to settle for a couple of minutes before placing in oven. Bake for 15-20 minutes or until golden. Test with a skewer that centre is cooked to ensure they are ready. These are definitely a perfect lunch box muffin. I usually pop 2 into my daughter’s lunch box as she is only in junior primary school right now, however it will also depend on the size of your muffin tray or liners as to how many you may need. I use silicone muffin trays so there is no need to grease or line. 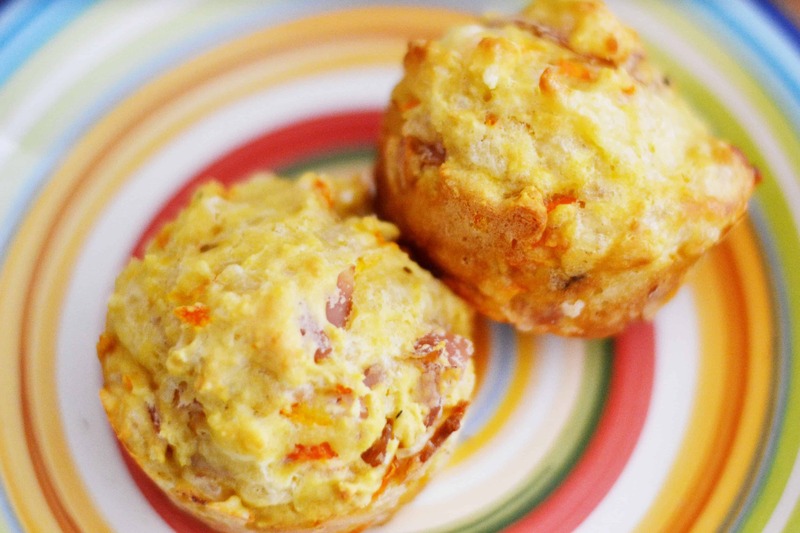 These ham, carrot & cheese muffins can be enjoyed warm or cold, or freeze them for later. To freeze wrap in plastic wrap and foil, or you can use an airtight container. If freezing muffins in a container, add a sheet of paper towel to the bottom and on top of your muffins to help control excess moisture. You can then pop them out of the freezer in the morning and into a lunch box and they should be defrosted and ready to eat by morning tea or lunch. 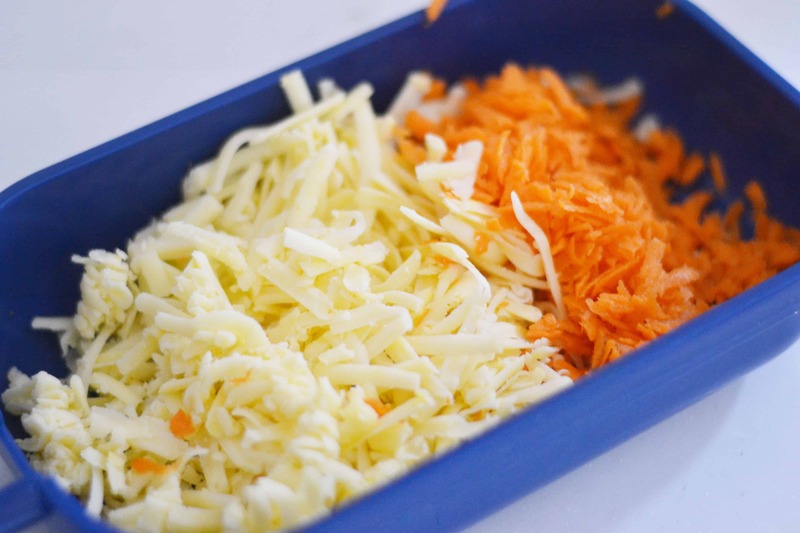 Or take them out of the freezer and keep in lunch boxes overnight in the fridge. If you need them ready in a hurry, you can also pop them in the microwave to defrost fast. If you try this recipe, be sure to pop back and tell me what you think. Can’t wait to hear from you!